Have you been selected for a tax audit? Let us help you. 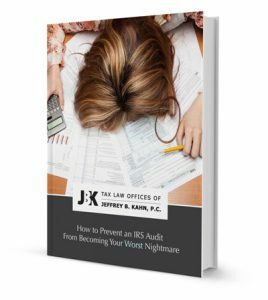 We all dread the thought of an IRS audit or examination. Tax audits can be stressful and complicated as you must be prepared to explain the nature of your income and substantiate the expenses and deductions claimed on your tax return. If the IRS assesses additional taxes and interest, the adjustments are generally matched by the State making an already difficult situation much worse. Using a tax attorney to help with an audit can significantly increase your chances of getting a better outcome. Many times individuals don’t realize that audits can go both ways, you may actually end up being owed money after an audit. A tax attorney can analyze your situation and find the best approach to take in order to get the best outcome. The IRS actually prefers working with professional tax representatives because it makes their job easier and helps the process move along more efficiently, which can actually result in a more favorable decision. Audit communications are directed to our firm and we are in direct contact with the IRS or State tax agent assigned to your audit. Research any issues that are likely to come up during the audit. Respond to the agent’s inquiries and requests for information. Meet with the IRS or State tax agent in person as required. Negotiate and settle taxes owed if you end up owing more money during the audit and cannot pay. Handle any unforeseen issues that may arise during the audit. Get your audit underway without the stress of handling it on your own. Call us today to discuss your audit issue. Click here for FAQ’s on Audits and Tax Court. Looking To Appeal An Audit Report To The IRS Office Of Appeals? Let us help you. When taxpayers disagree with the findings of their IRS audits, they may usually appeal to the IRS Office Of Appeals. 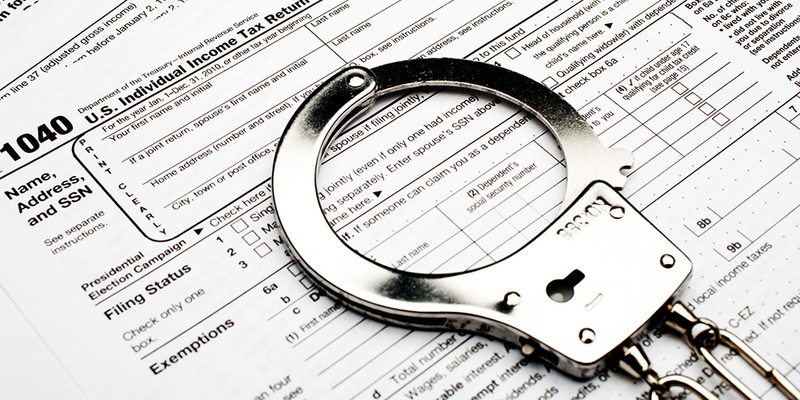 The IRS agent will issue a “30-day Letter” to a taxpayer, which essentially provides the taxpayer with up to 30 days to file a Tax Protest requesting his or her case be heard by an Appeals Officer. The Office Of Appeals is independent of any other IRS office and provides a venue where disagreements concerning the application of tax law can be resolved on a fair and impartial basis for both the taxpayer and the government. The Appeals Officer will take a fresh look at the case and consider the strengths and weaknesses of the issues in your case. The advantage of appealing your IRS audit to this level provides us with the opportunity to reach a mutually acceptable settlement without expensive and time-consuming court trials. We will communicate directly with the Appeals Officer and build a persuasive case on your behalf because we know how to present your case with legal argument and tax authority. Of course, if we cannot reach agreement with the Appeals Officer, then we have the opportunity to appeal the case to the U.S. Tax Court. Call us today. Received A Notice Of Deficiency To Appeal IRS Proposed Adjustments To The U.S. Tax Court? Let us help you. Before adjustments from an audit can be finally assessed, a taxpayer must be given the right to appeal to the United States Tax Court if the taxpayer should disagree with the findings of the IRS audit. The Appeals Office (or in certain cases the IRS agent) will issue a “90-day Letter” to a taxpayer, which essentially provides the taxpayer with up to 90 days to file a petition with the Tax Court and have his or her case heard by a judge. At this stage, any professional who is to represent you in Tax Court must be admitted to practice before Tax Court. Requirements for practicing in Tax Court include passing a very difficult income tax exam. Most non-lawyers are not qualified to practice before Tax Court and would, therefore, be unable to provide this kind of tax audit help or represent you. However, a qualified IRS audit attorney can help you. The United States Tax Court is a Federal court of record established by Congress under Article I of the Constitution of the United States. Congress created the Tax Court to provide a judicial forum in which affected persons could dispute tax deficiencies determined by the IRS prior to payment of the disputed amounts. The jurisdiction of the Tax Court includes the authority to hear tax disputes concerning notices of deficiency, notices of transferee liability, certain types of declaratory judgment, readjustment and adjustment of partnership items, review of the failure to abate interest, administrative costs, worker classification, relief from joint and several liability on a joint return, and review of certain collection actions. Unlike appeals to other Federal courts, there is no requirement to pay any of the disputed tax liability in order to have your case heard in Tax Court. The Tax Court is composed of 34 presidentially appointed judge-members. Trial sessions are conducted and other work of the Court is performed by these judges, by senior judges serving on recall, and by special trial judges. All of the judges have expertise in tax law and apply that expertise in a manner to ensure that taxpayers are assessed only what they owe, and no more. Although the Court is physically located in Washington, D.C., the judges travel nationwide to conduct trials in various designated cities. A case in the Tax Court is commenced by the filing of a petition. The petition must be filed within the allowable time limit. The Court cannot extend the time for filing which is set by statute. A $60 filing fee must be paid when the petition is filed. Once the petition is filed, payment of the underlying tax is ordinarily postponed until the case has been decided. In certain tax disputes involving $50,000 or less, taxpayers may elect to have their case conducted under the Court’s simplified small tax case procedure. Trials in small tax cases are generally less formal and result in a speedier disposition. However, decisions entered pursuant to small tax case procedures are not appealable. Cases are calendared for trial as soon as practicable (on a first in/ first out basis) after the case becomes at issue. When a case is calendared, the parties are notified by the Court of the date, time, and place of trial. Trials are conducted before one judge, without a jury. Only those practitioners that are admitted to the Bar of the Tax Court may practice before this court. Usually a case is settled by mutual agreement without the necessity of a trial. However, if a trial is conducted, in due course a report is ordinarily issued by the presiding judge, setting forth findings of fact and an opinion. The case is then closed in accordance with the judge’s opinion by entry of a decision. By engaging our tax representation services, you can be assured that your petition and each stage of the litigation process will be persuasive because we know how to present your case with legal argument and tax authority. Call us today.